My personal terrain collection hasn’t seen as much use as I thought it would, but I still want to slowly grow it. I set aside a little money at Adepticon to find something that fits thematically but isn’t just another western building. 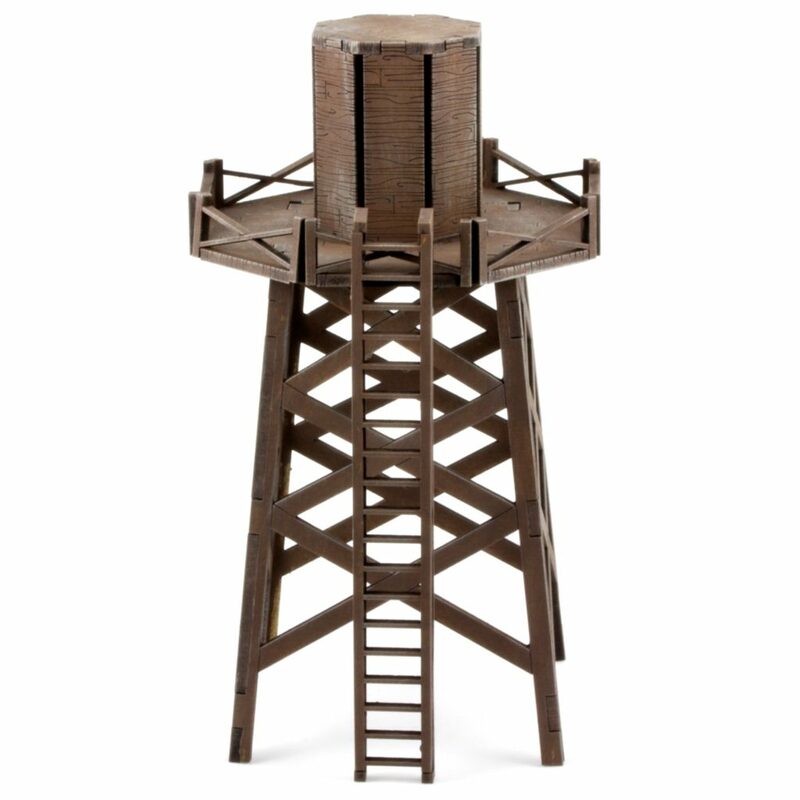 This water tower from Laser Craft Workshop fit the bill. The balcony on top is the perfect size for a 25 or 30mm based model to sit and snipe from. The kit suffers from the same problems as all laser cut. Curves as non-right angles don’t quite work. I considered filling the gaps with some kind of putty, but got lazy. Otherwise it’s a pretty straightforward, nicely produced, and nicely prices product.